Garlic, a member of the allium family, comes in two forms: hardneck and softneck. Hardneck varieties will develop something called a scape, softnecks will not. When the scapes grow tall and form a pod they are cut off to redirect the plant’s energy back into the bulb and not into producing a flower. 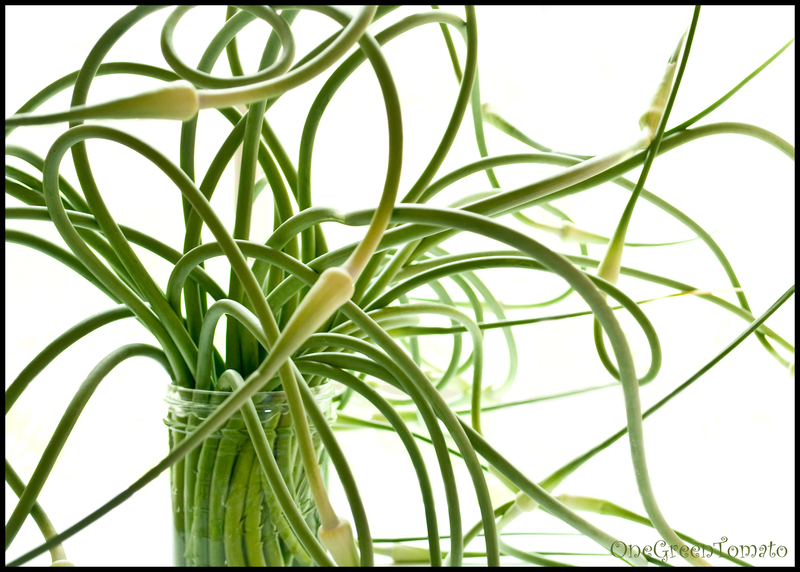 Scapes, which resemble that of a pig’s curly tail, are edible and taste just like garlic, only more mild. Typically you can find them at farmers’ markets towards the end of Spring. Over the past few years scapes have been gaining in popularity (as they should! ), however their season is short, like blink and you miss it, short! Whenever this curly green edible oddity is found at market people seem to gravitate towards it asking “what is that? AND what in the world do you do with it?” Those same customers would return the following weekend raving over their scape purchase wanting more. By then their time had passed. Like I said, blink and you miss them! If you are fortunate enough to stumble upon garlic scapes, buy them! All of them. I stocked up this year (so prepare yourselves for a slew of recipes!) and have been eating them daily. Typically I toss them into a veggie medley of snap peas, broccoli, and kale. A friend found a bean dip recipe featuring scapes and shared it with me. I’m so glad she did because it is awesome! I made a few personal adjustments and doubled the recipe. For the past three days I’ve been enjoying it slathered on the fresh-baked baguettes I made Sunday morning! Delish!! handful of fresh basil, chopped I was originally going to use cilantro (hence the lime juice) but it is now coriander, so I went with basil. Puree scapes with lime juice and salt in a food processor; add beans and basil, puree again. Slowly drizzle oils into processor, add water by the tablespoon until desired dip consistency is achieved. 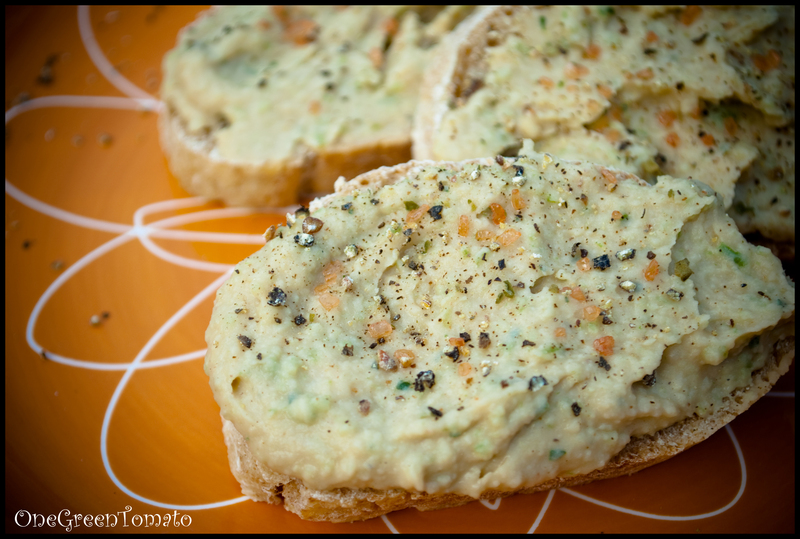 Spread on toasted bread, crackers, or pita chips and sprinkle a bit of course salt and pepper on top. Enjoy! I am so going to try this!!!! Awesome! It is really good; I’ve been spreading it on everything! It is my new favorite hummus! Enjoy!